Featured Store: RedEnvelope Baby Gifts - Mamanista! When Baby Diva was born, she received lots of thoughtful gifts from Red Envelope, especially from Mama-To-Be and Fairy Godmother. Many of Red Envelope’s luxury gifts can be personalized, like this super-soft plush lovey Lamb Blanket one of Baby Diva’s admirers bought for her ($25; personalized for $35). In the Easter spirit, I really like this cozy bunny Hooded Towel and Bath Puppet combo ($42). Baby Diva loves her baths and a baby can never have enough cushy, comfy hooded towels! The matching puppet will make bath time more fun for reluctant bathers and clean divas alike–puppets are a perennial baby favorite. 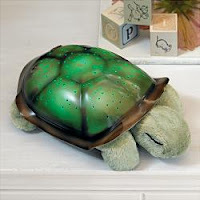 Twighlight Turtle (pictured – he projects actual constellations on the nursery ceiling at night–comforting and educating at the same time) for $36. A sophisticated set of ABC Wall Cards for $25. 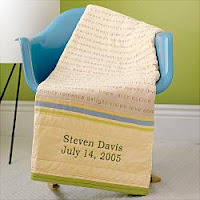 The personalized 100 Good Wishes Baby Quilt (pictured) at a special price of $88. 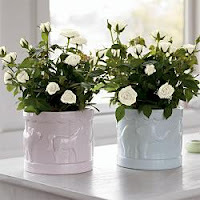 New Arrival Roses (pictured) for $35. 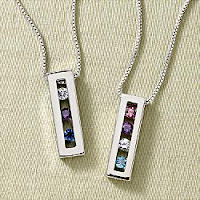 Please click on this banner to shop at RedEnvelope! 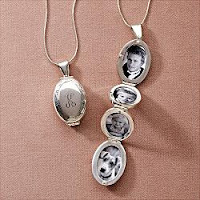 And Dad, if you are listening, Mother’s Day is fast approaching and RedEnvelope also has some beautiful gifts for mom, such as the Accordion Locket Necklace ($90; $95 with monogram), this Mother’s Birthstone Necklace (price varies based on number and type of gemstones), floral gifts, and special pampering bath accessories.